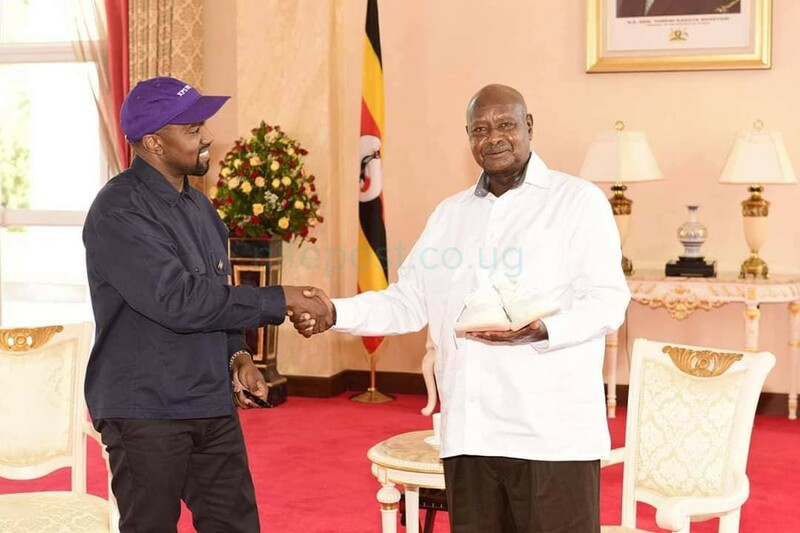 American rapper Kanye West who recently changed to Ye, has Monday morning met one rap hit wonder, and Ugandan president Yoweri Museveni at State House Entebbe. 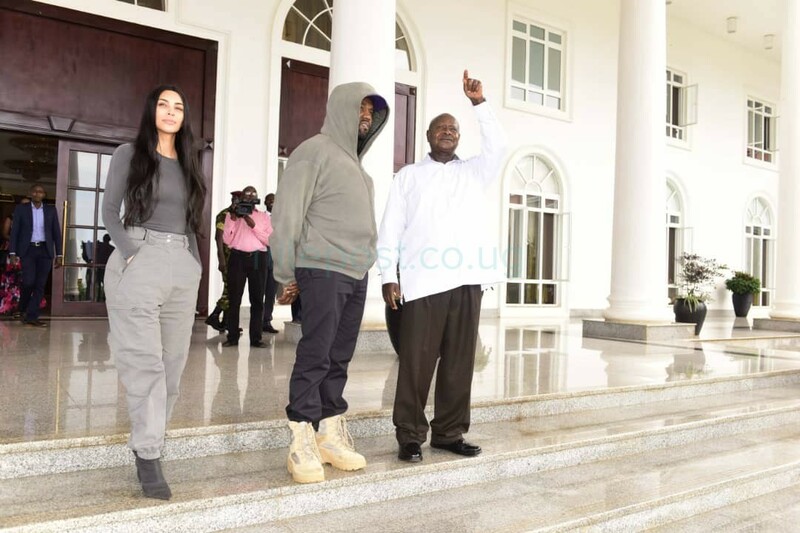 Kanye, his wife Kimberly Noel Kardashian West, an American reality television personality, entrepreneur and socialite, plus Kanye’s father Raymond West were airlifted to Entebbe where they met a first family filled entourage led by Museveni. Among those present at the meeting were; First daughter Diana Museveni Kamuntu (Mrs), the First son Maj Gen Muhoozi Kanierugaba and Chobe Safari Lodge and Madhvani Hotels General Manager. Museveni and the celebrity couple talked about tourism and arts. The president called upon Ye and wife to help support the countries tourism industry. They would later chat about Music and politics. 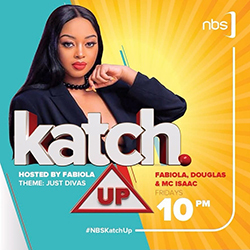 It should be noted that Museveni has himself tried rapping and the fruits of his studio work were all embedded in the song; You want another rap, which he used during the 2016 campaigns. 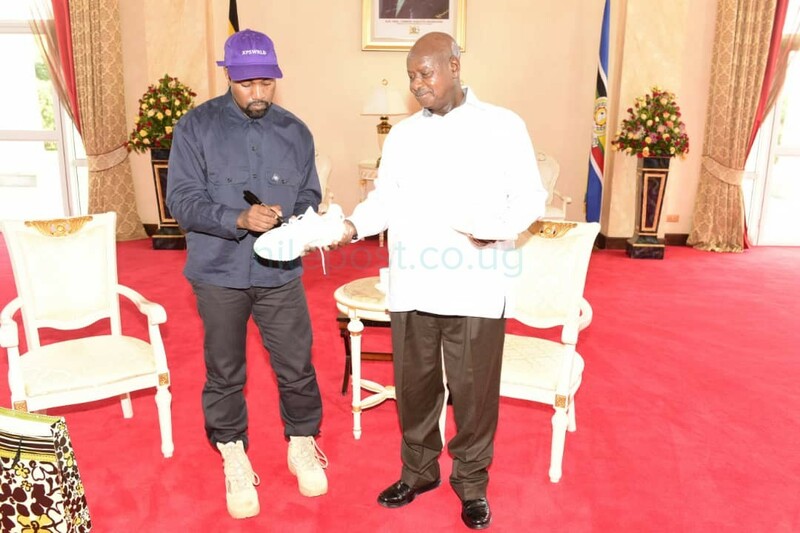 Ye presented a gift of his label white sneakers- Yeezy, to Museveni while the latter also gave Ye and wife books “Uganda Gifted by Nature” with pictorials about Uganda’s tourism and natural resources. Museveni also gifted socialite Kardashian and Rapper Ye with his political lyrics as carried in his sowing the mustard seed book.